KEVIN NOWLAN’s Favorite AVENGERS Story! 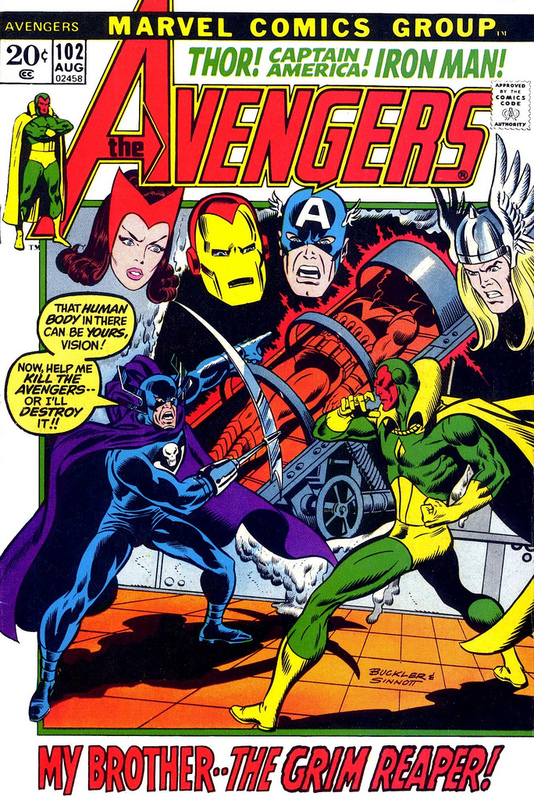 Home » COMICS HISTORY » KEVIN NOWLAN’s Favorite AVENGERS Story! It’s AVENGERS WEEK! We’ve asked some of the top names in comics to pick their favorite stories. And we start with artist extraordinaire Kevin Nowlan! I’m partial to Avengers #102, “What to Do Until the Sentinels Come” I love that opening scene where the Vision is walking down a dark street and two thugs try to mug him. The android is so preoccupied that he doesn’t even notice them. I was new to Marvel in 1972 and I didn’t have any idea who this Vision fellow was. The creepy scene and the dark, moody, Buckler/Sinnott art made me an instant fan.